When I was in college I remember the first time I walked into the bookstore to pick up my first semester's textbooks. I was all excited about the over abundance of sharpies, post its, notebooks and textbooks. It was amazing! I was like a kid in a candy store. That was, until I noticed how expensive the books were! I remember paying over $300 for ONE BOOK! I knew right then and there that I was in for a LONG and expensive college career. If I thought paying hundreds of dollars for a text book was bad, it only paled in comparison to the minuscule amount that the bookstore was willing to pay to buy back my textbooks. It was almost a joke. I remember distinctly, starting at the register when the bratty upperclassman said to me "we will give you $X for that book" and I remember it being about 30% of what I paid for it. I thought that was just how it worked. Well let me tell you, that only happened one semester until I wised up. I talked to my friends and asked how they were able to afford their books and they mentioned that they either search the classifieds on campus or they buy online. Next semester, I bought and sold my books online. That was I was making a lot more money for the same book that the campus bookstore was robbing from me! The whole buying and selling online gig got to be a hassle though. 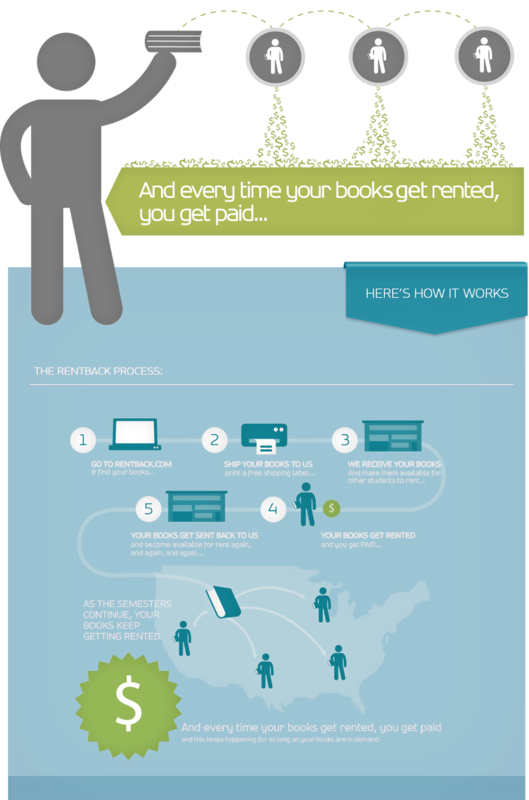 I wish that I would have known about RentBack.com when I was going to college. The plain and simple of this solution is that you send your textbook to RentBack.com with a postage sticker that they provide and they take care of the rest. 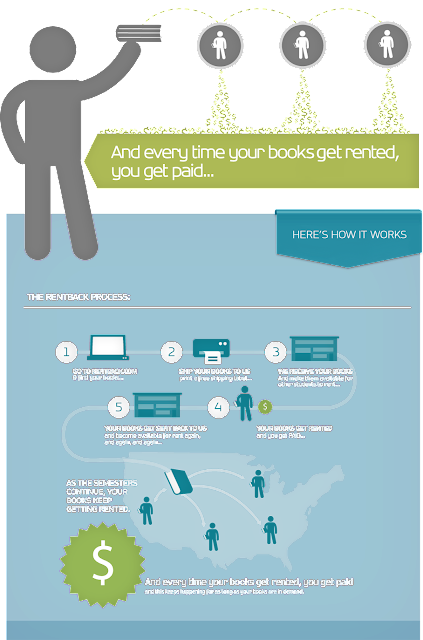 They ship and manage your textbooks for you to ensure that you get the best bang for your textbook buck. You can even still highlight and underline in your book, because it is all yours.